Looking for something new to try outdoors this winter? How about ice fishing? It may sound cold, but ice fishing in the Laurel Highlands is actually a very energizing adventure. Below are some of the amazing things you need to know about ice fishing. You will need to put together your fishing gear before sitting out on the cold ice. Your proper gear will be comprised of a fishing license, fishing rod, hooks, bait, buckets, pliers, Braided Line and auger. Be sure to check all of the regulations for ice fishing before you go! Apart from you license, have your rod ready, which should be relatively shorter compared to the normal fishing rod. This is because with ice fishing, there’s no casting of the rod. All you have to do is direct the pole through the hole where you have identified the fish. The fishing hooks will help trap the fish while the bait helps lure the fish until the final attack. Having an auger is necessary as it will help you in digging holes beneath the ice covers. 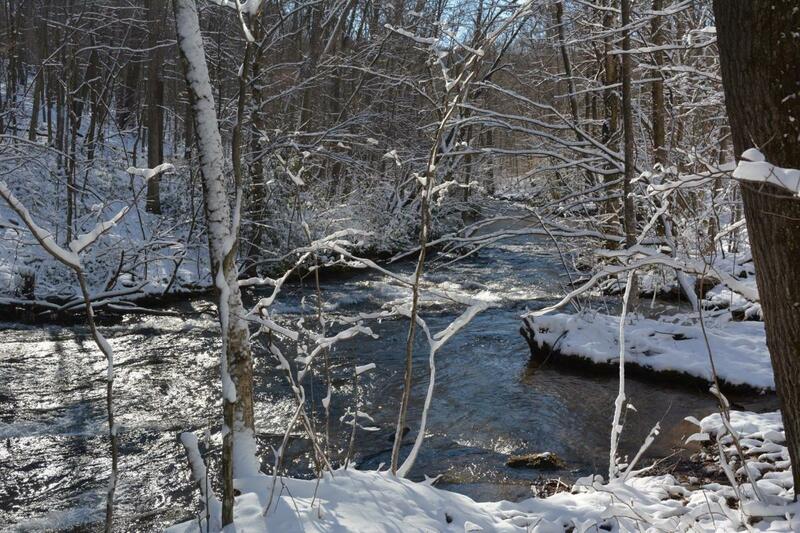 Explore your surroundings, and the DCNR website, before setting out for your ice fishing adventure. 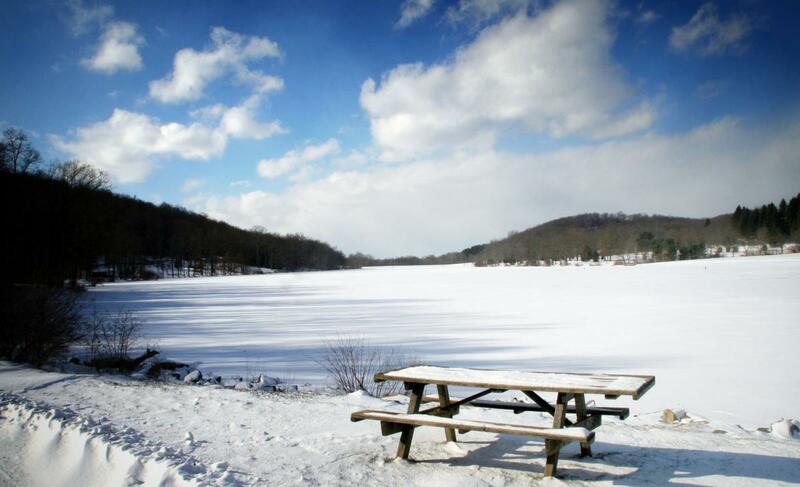 Both Laurel Hill State Park and Keystone State Park offer ice fishing in the Laurel Highlands, but be sure to call and check on the ice conditions before you make the trip! When you ice fish, safety is most important, so always be aware of your surroundings and the ice thickness when you&apos;re setting up your ice fishing shelter. It’s advisable to purchase your bait locally because it is more appealing to your catch. It&apos;s also possible that the fish you are targeting might prefer something fresh. Find out from the local vendors what kind of bait works best in your spot of interest. It is almost a guarantee that the experienced sellers will have a plethora of information to give for successful ice fishing. Carry along materials to make temporary shelters while you are out ice fishing. Depending on your personal preferences, there are a variety of materials to choose from. Some shelters can be made from plastic, while others prefer wood. Pack enough warm garments, changes of clothes, waterproof shoes and even hand and toe warmers to help battle the cold. Do you love sport fishing? If so, then ice fishing is a great opportunity to showcase your skills to other anglers. Give yourself an opportunity to test out your expertise against others by practicing ice fishing. Ice fishing is a great opportunity to learn from others apart from having an incredible experience. What kind of fish will you be looking out for while in the cold ice? Among the big game fish, you are likely to catch the walleye and the northern pike. Gather your stamina and be in for a great fight from these two wonderful big fish. While maneuvering through the ice, you are also likely to capture smaller species including crappie, perch, sunfish and bluegill. The recent developments in technology have made it possible to shift from digging holes during ice fishing to using flashers. With the help of this wonderful device, it’s easier for you to locate the fish and tell the depth. Give yourself the opportunity to discover the fun that lies on the other side of the cold ice. Face the ice with determination for an experience of your lifetime Be sure to use #LaurelHighlands when you post photos of your best catches! Jim Watson is a passionate angler. He started fishing at the age of 9, and is a full-time travel and outdoor blogger. He publishes his fishing experience on his blog, https://www.buyfishingguide.com.